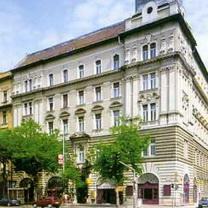 3-star-hotel in the 13th district of Budapest. Address: 1137 Budapest, Szent István krt 22. Family-style hotel in the centre of Budapest close to the Western Railway Station and Margaret Island, and right in the midst of the hurly-burly of business life and shopping centres. Central Europe"s largest mall - excellent for shopping, entertainment and eating out - is only a few minutes" walk away. The family style hotel is in the centre of Budapest close to the Western Railway station and Margaret Island, right in the midst of business life and shopping centres. A walk of just a few minutes takes the guest to the largest shopping centre in Central Europe - of course this is great for shopping, entertainment and gastronomy. The ideal positioning of the hotel means that tourists and business travellers alike favour it as their Budapest "home from home". Here everyone will find a pleasant family atmosphere, where they can relax from the day's stresses and strains and prepare for the coming day - whether city sightseeing or business meeting. Each of the comfortable and bright rooms has a bathroom with shower. Rooms are equipped to high standards, and include a king-size bed or twin beds. Average size of room 21 m2.